This year we are happy to raise funds for The Artists’ Network. I thought this would be a good time to tell you a little bit more about this organization. Remember – you can always donate a little extra on top of your ticket price, just add a donation amount to the cart on our tickets page. The Artistsʼ Network is a membership-based organization dedicated to supporting visual artists in their business practice. Itʼs where artists build success. 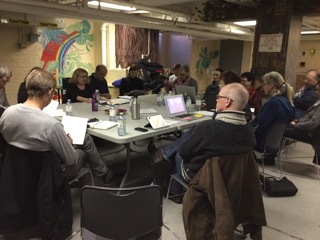 The Artistsʼ Network was founded in the Riverdale district of Toronto in 1999 to address a desire among local artists to create opportunities for networking and learning from other artists and to showcase their work. It also answered a need other arts organizations could not provide – what can I do to be self-sustaining as an artist? 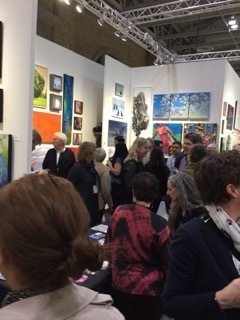 Since then, the Artistsʼ Network has grown to 150+ member artists and created numerous exciting opportunities for education, networking and exhibition. Our goal is the development of self-sustaining professional artists. Our members are artists, our staff are artists, and our board of directors are artists. Together, we decide what we do and how we do it. And, we rely on our membership to inform the path we take. Riverdale Art Walk is a two-day, public fine art exhibition showcasing established and emerging artists in retail spaces and Jimmie Simpson Park in Toronto’s flourishing Queen East arts district. Since its inception, the festival has grown to 170 participating artists and the inclusion of local community groups, entertainment and food vendors. Artist Awards in Photography, Painting, Mixed Media, and Other Media have been created through exciting new sponsorships with local organizations and businesses. 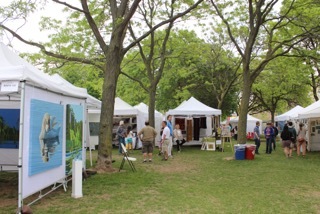 Now in it’s 17th year in the Riverdale/Leslieville area of Toronto, the festival has grown to reach an audience of over 10,000 art enthusiasts and supporters. Through new partnership opportunities with the local BIA, the Riverdale Art Walk expects to grow both in participating artists and visitors. Seminars: The Artists’ Network has Educational Seminars on a monthly basis on various topics on the business of art such as taxation, how to approach art galleries, how to write CV’s, BIO’s and artists statements, planning your show calendar. We’ve had a rep from the city of Toronto discussing Toronto’s Public Art, representative from Ontario Art Council and Toronto Art Council talking about applying for grants. With Social media being such big part in marketing, we’ve had seminars on how to leverage social media to promote your work. Recently we had a seminar on the Riverdale Art Walk Orientation with over 60 artists attending. We are the only outdoor organizers who offer this to their participants where they get useful information on make their outdoor show a success! We have an Education Committee made up of volunteer members who fill the Education topic calendar so the topics remain vibrant and relevant. Our meetings are held in the Ralph Thornton Centre and generally we have about 20 or more show up to each seminar. The seminars are offered free to our members and part of their benefit of membership. Response from those who attend the seminars is very positive. We do have people fill out an evaluation form so we can see what they got out of it and make improvements in the future. We offer our members exhibition opportunities to get their art seen by the public. 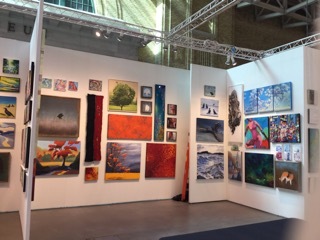 We have several venues from galleries, retail businesses and have represented artists at last years Toronto Art Expo and this years Love Art Fair. Our goal is to provide a variety of venues for our members to exhibit their work. 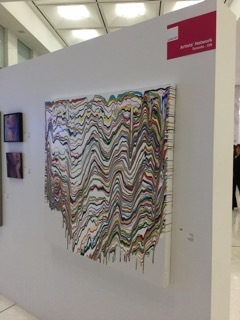 In the future we hope to expand outside of Canada at some of the big art fairs such as New York City.